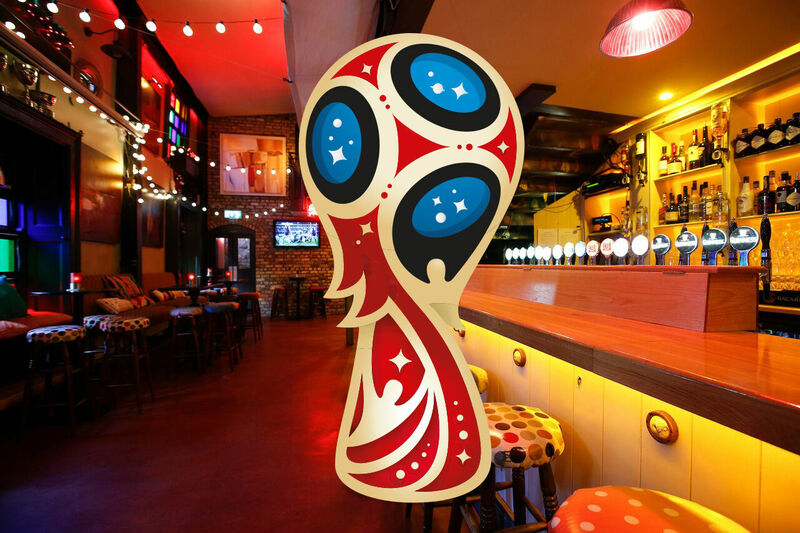 We thought it might be helpful to draw up a list of pubs that fulfill different criteria for different people and different matches during the World Cup. 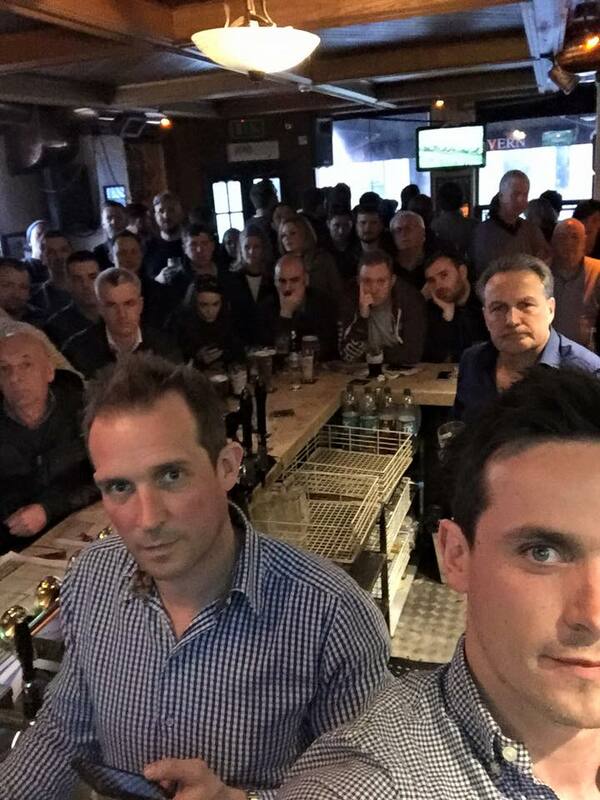 For example, for some games you might want a small pub with a lively atmosphere, in others you might want a bite to eat, or a beer garden to watch it in, or maybe a pub packed with the fans of that country. The Adelphi on Abbey Street have thrown their support behind Germany. It’s a good choice. If you calculate the biggest consumers of beer per capita with the amount of expats in Ireland, then Germany comes top of the list. They’ll be cheering on Germany in all of their games and offering a free glass of Paulaner to everyone if Thomas Muller scores. They do some excellent Hot Dogs here, so I guess you could pass that off as Bratwurst! Facebook event link. 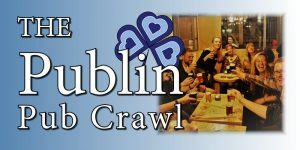 Buskers on the Ball on Fleet Street will be where Argentinians in Dublin will be calling home during the tournament. They’ve got loads of screens around the sports bar, including a massive wall screen behind the bar. Facebook event link. The weather has been so good lately that you might prefer to watch a few games outside. 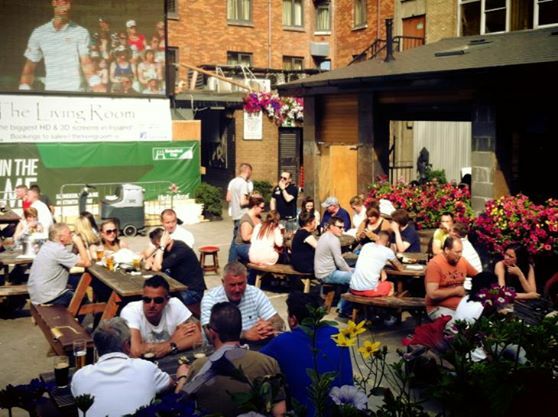 The beer garden of The Living Room on Cathal Brugha Street is unmatched for outdoor space, covered space, and the size of the screens they’ve got. Add to this the exceptional pizza offering and you’ve got a good match atmosphere. 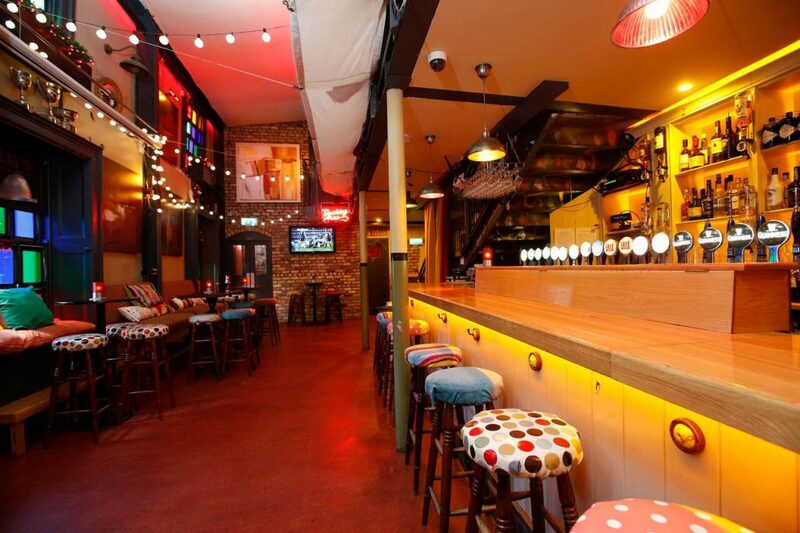 It’s also a bar with a huge international following so there’s bound to be an atmosphere for lots of matches. 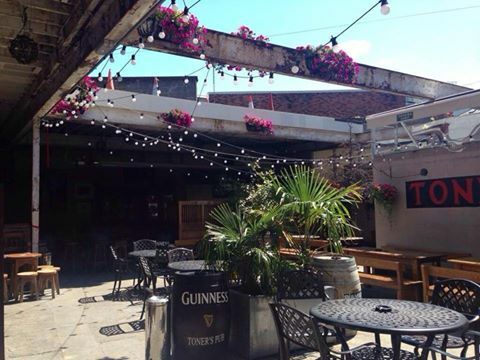 Toners on Baggot Street has a beautiful beer garden that has 3 or 4 screens. It gets loads of sun is one of the cities most popular sun traps. We’re big fans of small pubs with condensed atmospheres. Here’s 3 options. The Boars Head is the best small sports bar in the city. They show all major live sporting events. Upstairs is especially good where they have a projector screen that is visible throughout the bar. They do a decent food selection too if you’re peckish. The Bankers on Trinity Street do a great job of blending food, sports, and drinks. There’s a good few screens and lots of seating for a small space. 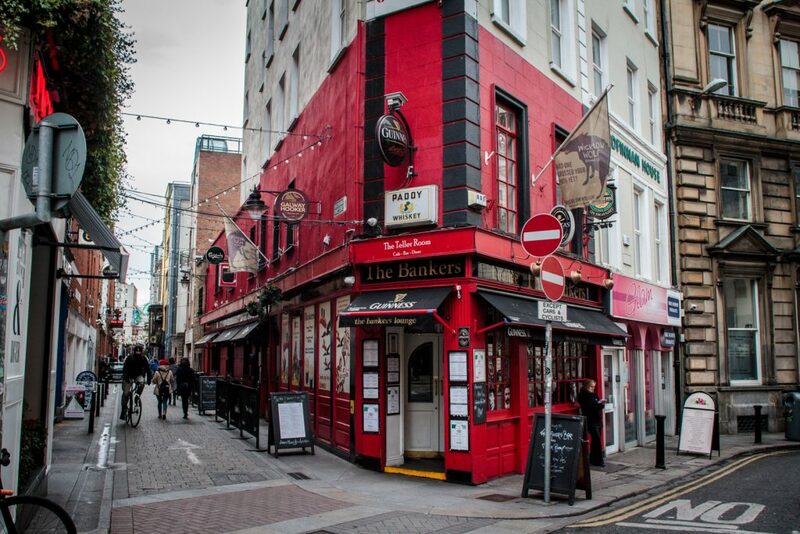 The Dame Tavern is a great spot for a bit of atmosphere. Sometimes if comes from the music and sometimes it’s the sports. Everyone is focused here on the one TV, which makes it more of a communal experience. Slatterys Beggars Bush are no strangers to football crowds. 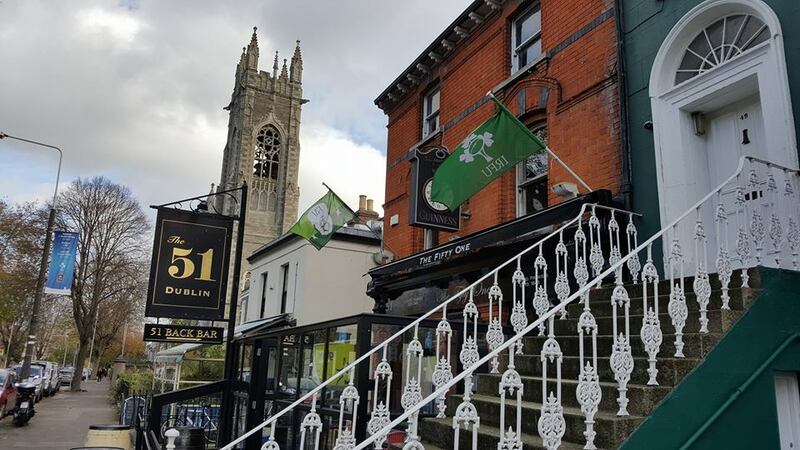 It’s a favourite pub on the way to the Aviva. 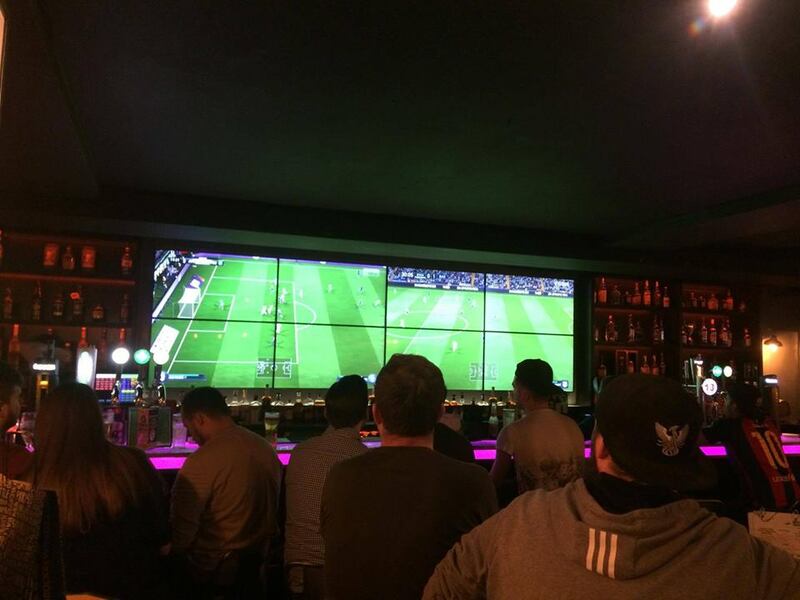 It’s also a great spot to watch football on the TV. There’s so many rooms to watch the sport in and the TVs are great. Try the back bar which has an open air loft area too. The Barge on the canal is a great big pub with loads of tv screens. 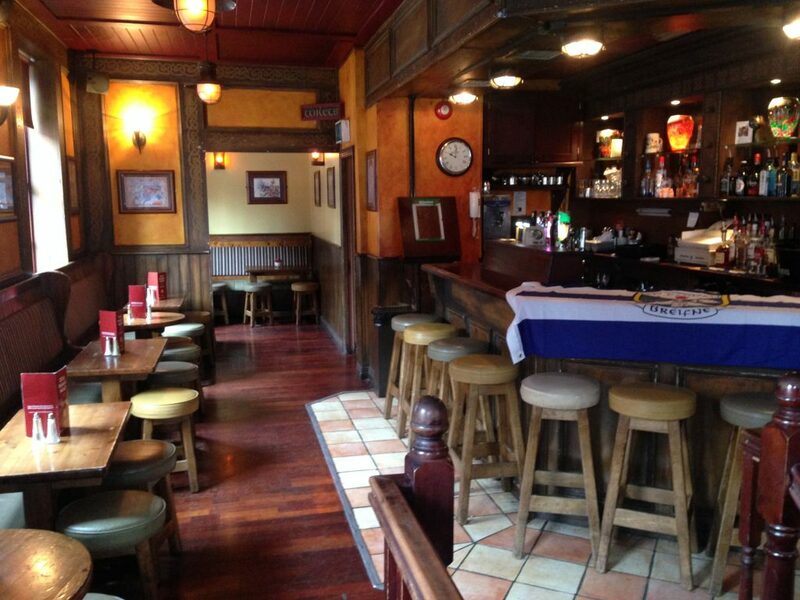 They do really good food and drink deals during games like pizza and a pint for €12 and a burger and a pint €15. 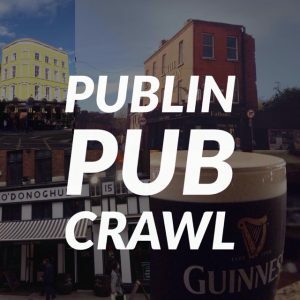 Watch it in a pub with food and drink deals. 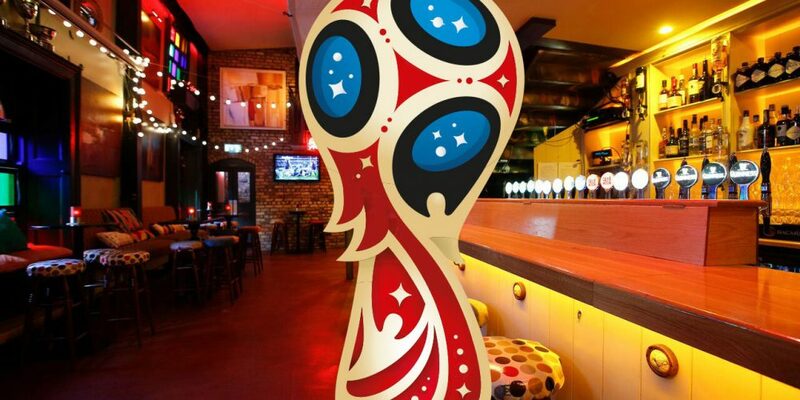 Sweetman’s have gone the extra mile and created a special beer for the World Cup. 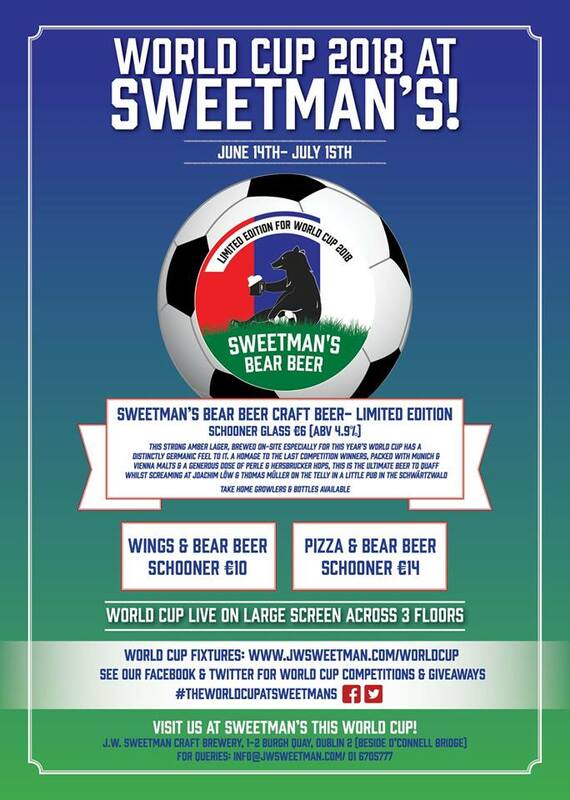 It’s called ‘Bear Beer’ and you can get a schooner of it with wings during the matches for €10 or with a pizza for €14. The Square Ball will be offering 2 for 1 drinks to anyone who is wearing the jersey of a team that is playing live. Facebook event link. 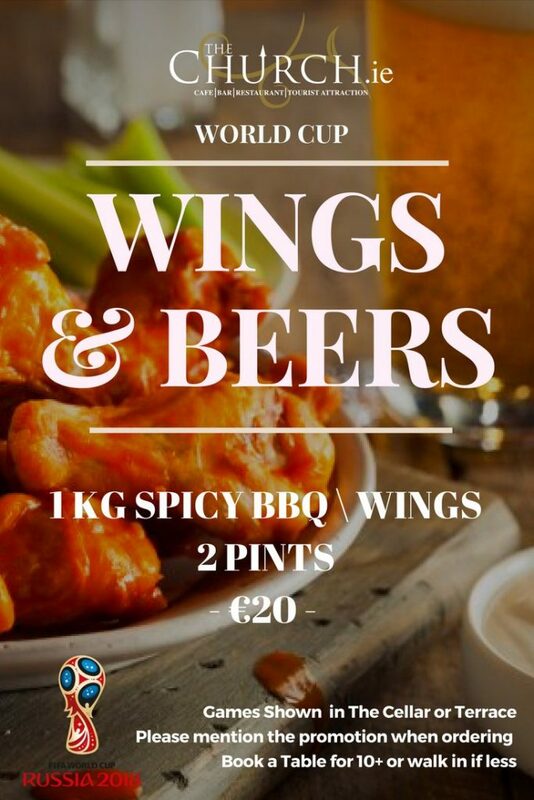 The Church are inviting you to watch the games in The Cellar or on the terrace with 1kg of wings and 2 beers for €20. The 51 on Haddington Road have an excellent €12 meal deal. 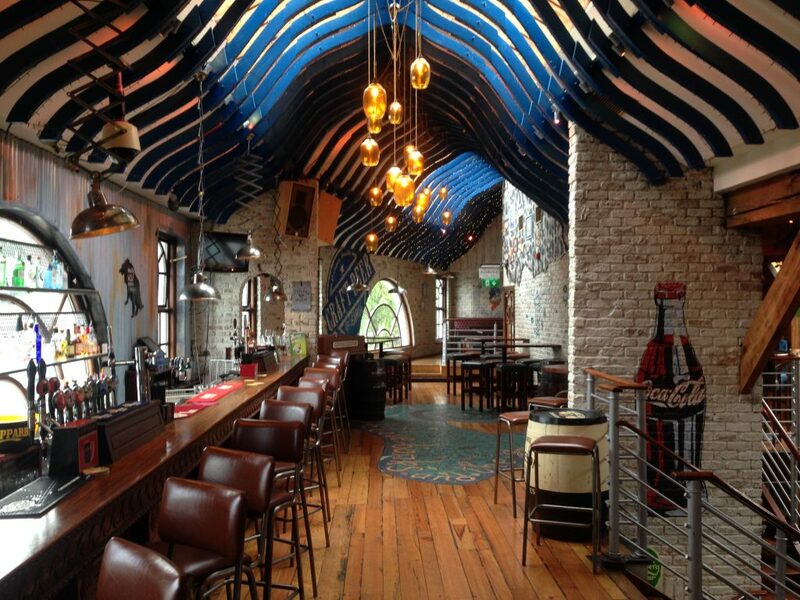 You can get a main course from their menu with a pint for only €12 Monday to Friday 5-9pm and Saturday 1-9pm. 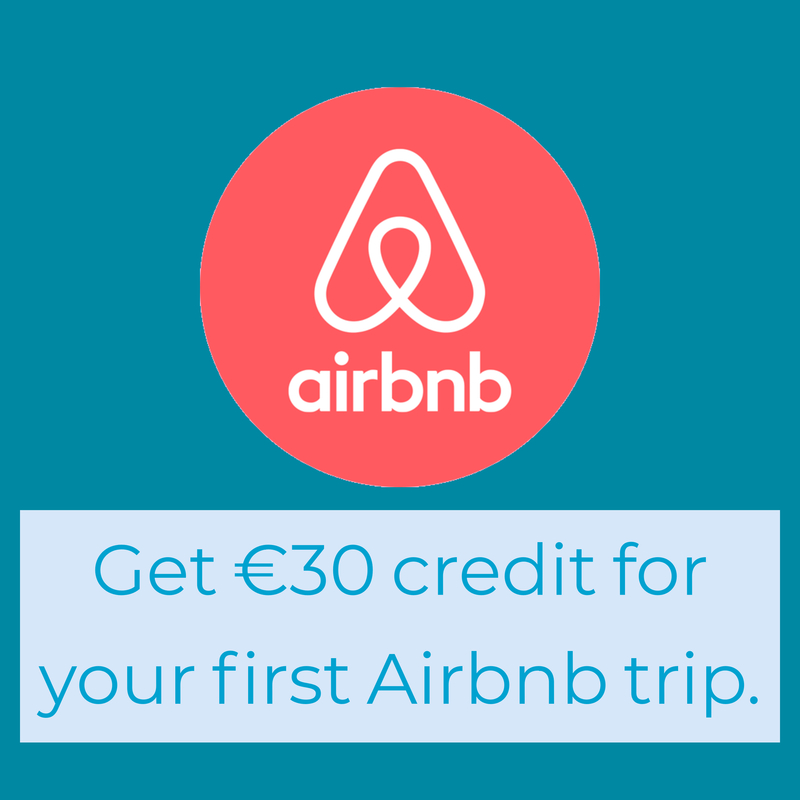 They also have €4.20 all pint Sunday to Tuesday.